The technology used to create the display on these glasses is the biggest difference, which enables a translucent image to appear in the top right corner of your vision. Google smart glass has a prism projector that floats in front of the wearer’s right eye. Which means it is quite thick, and the plastic casing sticks quite far from your head. It offers most clear and effective display. All the smart glasses are round-up prototypes, but Google Glass going to change this from the upcoming products. Next is the Toshiba Glass, is also prototype form, uses different display technology , but not clear and crisp as Google Glass’s, could be a better solution in the long term. Unlike Google having a prism of glass protruding in front of your face, the Toshiba Glass manages to look like an ordinary pair of glasses, with a projector attached to the right arm of the glasses. 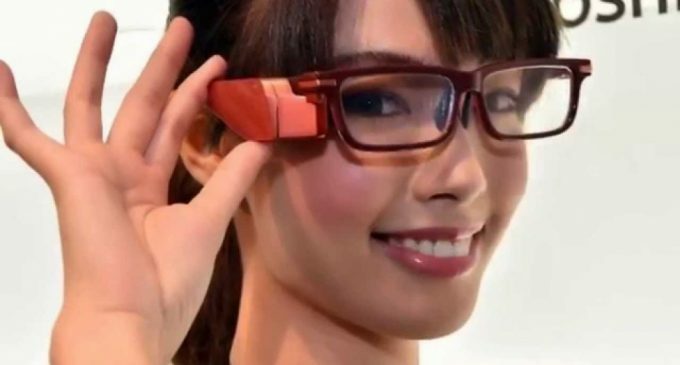 The Sony SmartEyeglass uses a different technology for the display, which offers black and green rather than colour like the Google and Toshiba glasses. Like Google glass Sony uses a prism for the display. When comes to the wearable tech we have to give some keen attention on it, particularly when you’re going to be wearing it on your face. Google Glass is the most attractive one among three, which is available to buy in several different colours, such as black, white, blue, brown or a sort of orangey red. The standard frame is a metal band that wraps around your head, sitting just above your eyebrows and tucking behind your ears. Google does offer different frames but Toshiba Glass has a huge range of frames, varying from normal-looking glasses in different designs to sports sunglasses and protective goggles. Toshiba lacks in camera now, but other two are having. Google glass having touchpad built-in to the outer edge of the component on the side of the glasses that can detect swipes, taps and double taps. You can also be control it using head movements and by speaking to activate the speech recognition. Simply say “OK Glass, and then issue commands such as take a photo or Get directions to. In case of Sony, it too offers voice control and has touch pad and same for the Toshiba Glass.